Building Internet of Things provides front-line business decision makers with a practical handbook for capitalizing on this latest transformation. Focusing on the business implications of Internet of Things (IoT), this book describes the sheer impact, spread, and opportunities arising every day, and how business leaders can implement IoT today to realize tangible business advantages. The discussion delves into IoT from a business, strategy and organizational standpoint, and includes use-cases that illustrate the ripple effect that this latest disruption brings; you'll learn how to fashion a viable IoT plan that works with your organization's strategy and direction, and how to implement that strategy successfully by integrating IoT into your organization tomorrow. For business managers, the biggest question surrounding the Internet of Things is what to do with it. 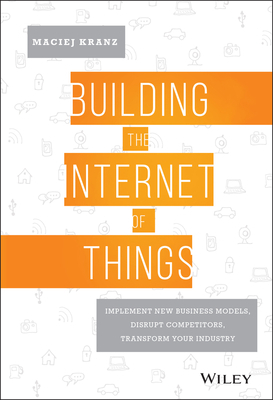 This book examines the way IoT is being used today--and will be used in the future--to help you craft a robust plan for your organization. In the past five years, the Internet of Things has become the new frontier of technology that has everyone talking. It seems that almost every week a major vendor announces a new IoT strategy or division; is your company missing the boat? Learn where IoT fits into your organization, and how to turn disruption into profit with the expert guidance in Building the Internet of Things. Maciej Kranz is vice president of the Corporate Strategic Innovation Group at Cisco Systems. He leads the team focused on incubating new businesses, accelerating internal innovation, and driving co-innovation with customers, partners and startups through a global network of Cisco Innovation Centers. Prior to this role, he was general manager of Cisco's Connected Industries Group, where he drove IoT business for key industrial markets.